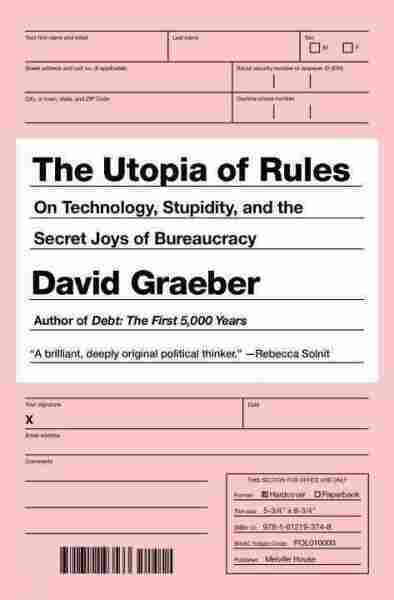 Book Review: 'The Utopia of Rules' By David Graeber In The Utopia of Rules, David Graeber argues that we live in an "age of total bureaucratization." Reviewer Tomas Hachard says in places the book is almost as serpentine as modern bureaucracy. You probably don't need me to enumerate the pains of navigating bureaucracies. Lines and forms and hold times are the stuff of daily routine — and it's just as routine to complain about them. 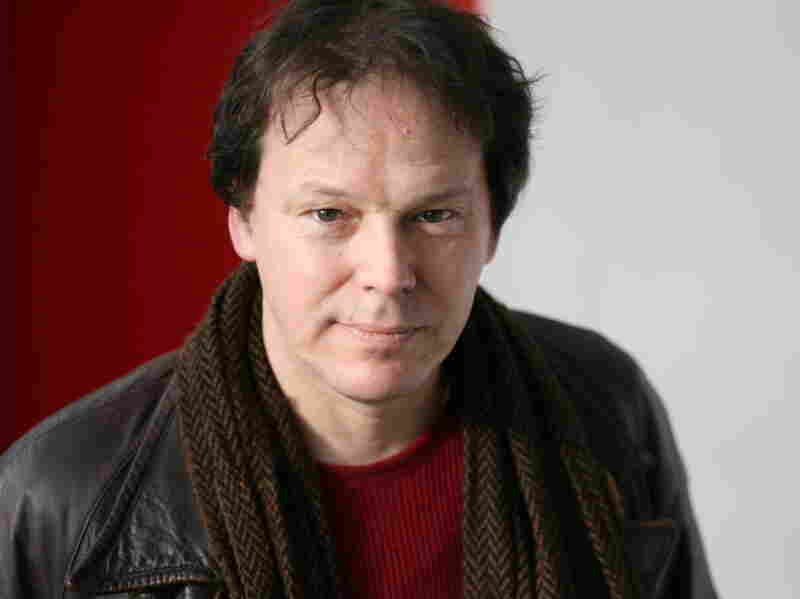 Our annoyance is of little consolation to David Graeber, though. In his latest book, The Utopia of Rules, Graeber laments that we have stopped analyzing this aspect of modern life, ceased producing satires and critiques of it like Catch-22 and The Castle. In the meantime, he argues, the U.S. and other Western countries have become more engulfed than ever by rules and regulations controlling nearly every aspect of our lives. We now live in what he calls the "age of total bureaucratization." Graeber knows that, at least superficially, there's a counterintuitive nature to his argument, particularly when applied to the United States. Americans in general are not considered lovers of bureaucracy, a term that brings to mind Soviet drudgery. They certainly don't seem to see its existence as reason for wholesale political revolution. Many people might find comfort in being told how to confront any situation in life — which degree you need to get to start a career; which permits you need to hold an event — even if the process can get exasperating. They value the order and regularity of bureaucracy. He denies "the fiction that rules and regulations apply to everyone equally" and sees the various elements of bureaucracy as "instruments through which the human imagination is smashed and shattered." 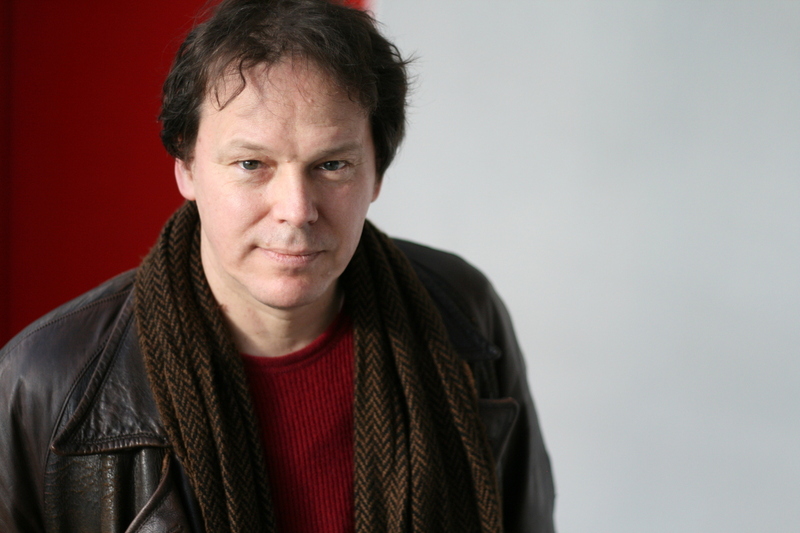 David Graeber is also the author of Debt: The First 5,000 Years and The Democracy Project. Utopia of Rules, then, sets about convincing readers that the world is quite different from how they normally see it, and that there's an urgent need for change. If the first venture sounds academic and the second suffused with radical politics, you're getting a sense of the book: Graeber, the author of Debt: The First 5000 Years, is an anthropologist at the London School of Economics. And while Utopia of Rules stays accessible to the general public, it's still a book where Baudrillard and bell hooks make appearances; a book that discusses things like "the very grounds of political being" and the need for "general theory of interpretative labor." Graeber is also an anarchist and one of the leading forces behind Occupy Wall Street (he's been credited with coining the phrase "we are the 99 percent"). That ideological stance underlies Utopia of Rules's political project: to wake the left from its slumber and remind it of its anti-bureaucratic origins, and to explore how (or if) people can upend governments without erecting more labyrinthine structures in their place. Could Playfulness Be Embedded In The Universe? That project is itself serpentine. Graeber takes us on tours through the history of philosophy, meditations on etymology and linguistics, and digressions into topics like fantasy novels and science-fiction films, all of which are extended enough to make you wonder whether he's packed enough bread crumbs to get us back to the trail. Full credit to Graeber, though: When he eventually gets to a point, it's almost always insightful, thought-provoking and, as befits the roundabout way he got there, unexpected. The section on science fiction eventually gives way to Graeber's denunciation of an academic and scientific environment mired in bureaucracy — he quotes a physicist who notes mournfully that "original ideas are the kiss of death for a proposal; because they have not yet been proved to work." That, Graeber writes, "pretty much answers the question of why we don't have teleportation devices or anti-gravity shoes." It's not entirely clear to me how serious Graber intends to be with that conclusion, but the compelling general idea behind it is part of what keeps Utopia of Rules engaging. The book makes a great companion to Cubed, Nikil Saval's recent look at the evolution of offices, which tracked what Graeber describes as the "tension of the free play of human creativity against the rules it is constantly generating" through its expression in office design and management practices. Utopia of Rules focuses more on the political implications and, of course, Graeber's own political prescriptions. But agreeing with those prescriptions is by no means a requirement for entry. On the contrary, Graeber wants us to unshackle ourselves from the limits imposed by bureaucracy, precisely so we can actually get down to openly and creatively arguing about our collective future. In other words, yelling at the book is not just part of the pleasure of reading it. It's part of the point.